Last year we had our first ever Open Gardens event in the village. It was such a success that we hope you will all come and see us again this year and bring your friends. Well behaved dogs welcome. This year is our 43rd Village Flower Festival which has the theme 'All Things Bright and Beautiful' interpreted in the floral displays in the church. 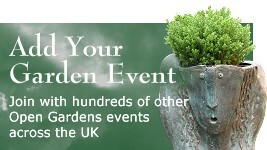 There will be stalls and games around the village and in the gardens with garden accessories amongst the items on sale. 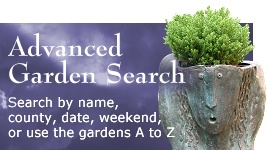 There will be another Garden Quiz with a garden voucher prize for the winner. Refreshments will be on sale in the Village Hall - the home-made cakes received so many compliments last year. All proceeds will go to St. Laurence's Church. At the main plant stall near the church and in several gardens. 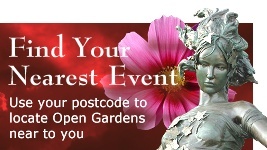 Weekend ticket for the gardens £3.00 per adult, accompanied under 16s free, includes entrance to the Flower Festival. Tickets available at the Village Hall, the Village Stores/Post Office and 7 Church Lane, but not from participating gardens. Brafield on the Green is on the Bedford Road 4 miles out of Northampton.